Dr. James Okamoto provides personalized medicine and genetic sequencing from GeneID that assesses your risk for cancer and guides a treatment plan to prevent cancer. At Ka Wai Ola Family Medical Clinic in Waipahu, Hawaii, you’ll get comprehensive cancer screening, nutrition advice, weight management, and every level of support you need to live a cancer-free life. Dr. Okamoto always provides individualized care and tailors treatments to each person’s health needs, which is personalized medicine. But the term — personalized medicine — has taken on a new meaning. Personalized medicine uses the same person-centered approach, then improves on customized care by adding genetic testing into the mix. When Dr. Okamoto considers your unique genetic profile together with other cancer screening information, he can determine your overall risk for specific types of cancer. What type of cancer screening does Dr. Okamoto offer? Family history of cancer: Three or more relatives on the same side of the family with the same or related types of cancer. Early onset of cancer: Two or more relatives diagnosed with cancer at an early age. Multiple cancers: Two or more types of cancer in the same relative. Dr. Okamoto offers genetic testing through a company specializing in personalized medicine, GeneID. The process is quick and easy. After taking a simple cheek swab, the doctor sends it off to the GeneID laboratory. Their state-of-the-art equipment examines all the building blocks that make up your DNA, looking for common gene mutations that occur in eight types of cancer: breast, ovarian, endometrial, pancreas, prostate, skin, stomach, and colorectal cancers. Within about 8 days, Dr. Okamoto receives the test results, which accurately determine your risk for developing these cancers. How does personalized medicine help prevent cancer? A genetic predisposition to cancer doesn’t mean you’re destined to get that cancer. When you’re armed with the right information, like specific genetic details about your risk factors, you have the opportunity to prevent cancer. 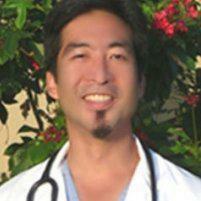 Dr. Okamoto will work with you reduce the likelihood of developing cancer, and lifestyle changes play a vital role. You can significantly lower your risk for many cancers by maintaining a healthy weight, following a regular exercise routine, and getting the right amount of essential nutrients. If you’re genetically predisposed toward a type of cancer, he may recommend more frequent screenings and blood tests. Depending on your overall health and the type of cancer, medications may be part of the prevention plan. If you have any concerns about your risk for cancer, you can count on getting all the services you need from Dr. Okamoto, so contact Ka Wai Ola Family Medical Clinic to schedule a consultation.